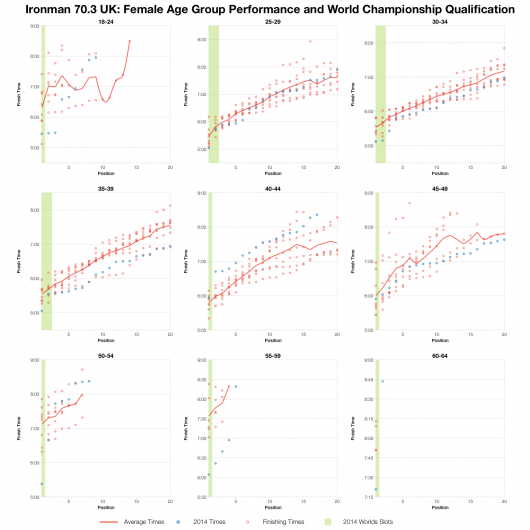 This will be a very brief look at the results form the weekend’s Ironman 70.3 UK; unfortunately I don’t have the time to do any more than produce my usual graphs and add a few quick comments. 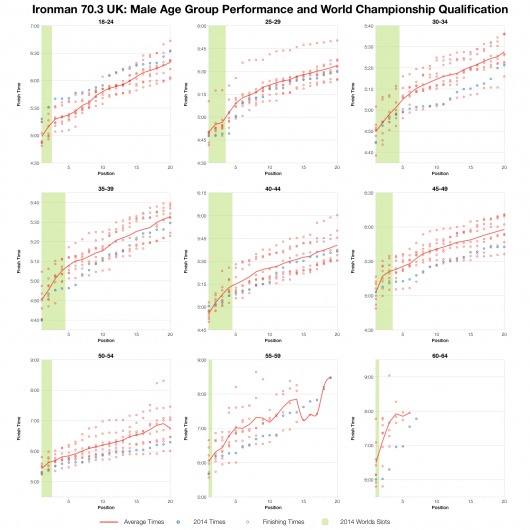 I had athletes racing there who achieved some great PBs alongside a disappointing DNF with a bike mechanical (something I’m more than familiar with). I’ve got debriefs to deal with there, but first I’ll look over the race as a whole. 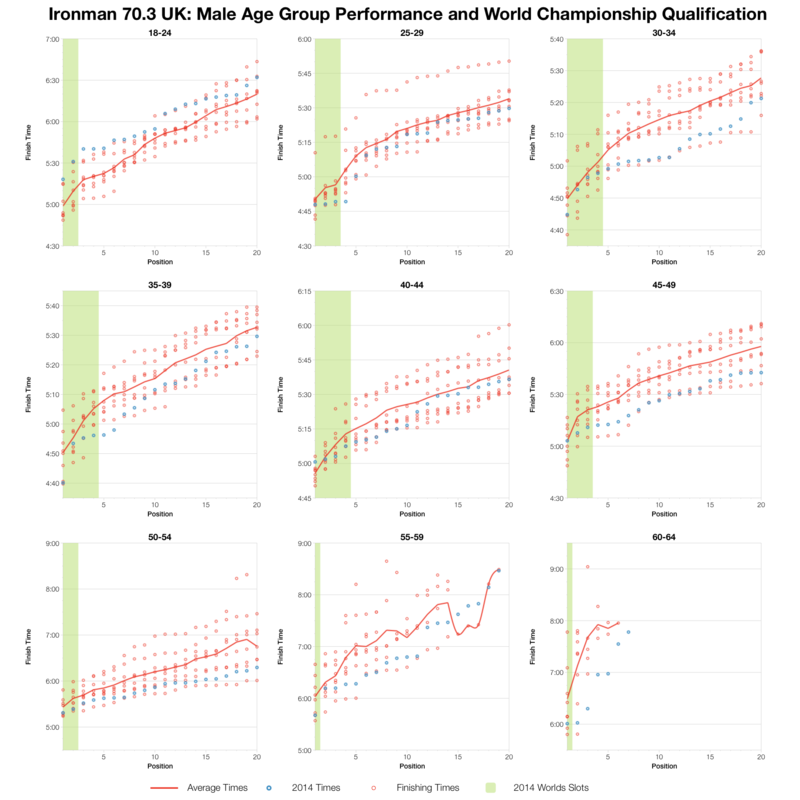 Starting at the top, comparing median splits for the age divisions, and largely the 2014 race appears much like past events. The one different of note is a largely consistent slower run. Possibly a result of warmer, sunnier conditions than the race often sees? Other than that it’s harder to pick out other consistent patterns. Next up distributions which, unsurprisingly, tend to back up the median data. The run is distributed slower from the front to the back of the race creating a slower overall finisher distribution. 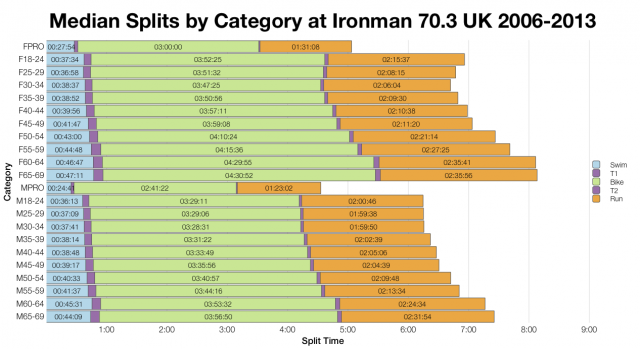 Also of note is the tail of the bike distribution – not as long as usual and with a bit more weight below the 4 hour mark too. 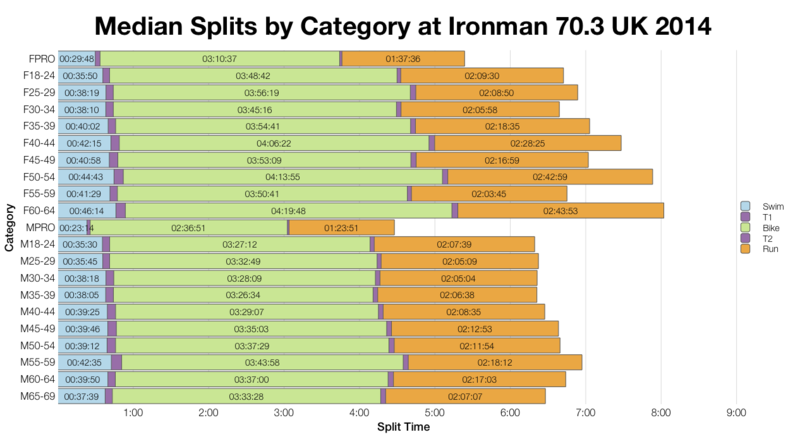 The percentile times are largely the same, but there appears to have been fewer finishers at the very slow end of the bike. Lastly the front of pack. Generally, but far from universally, times were a touch faster than average. 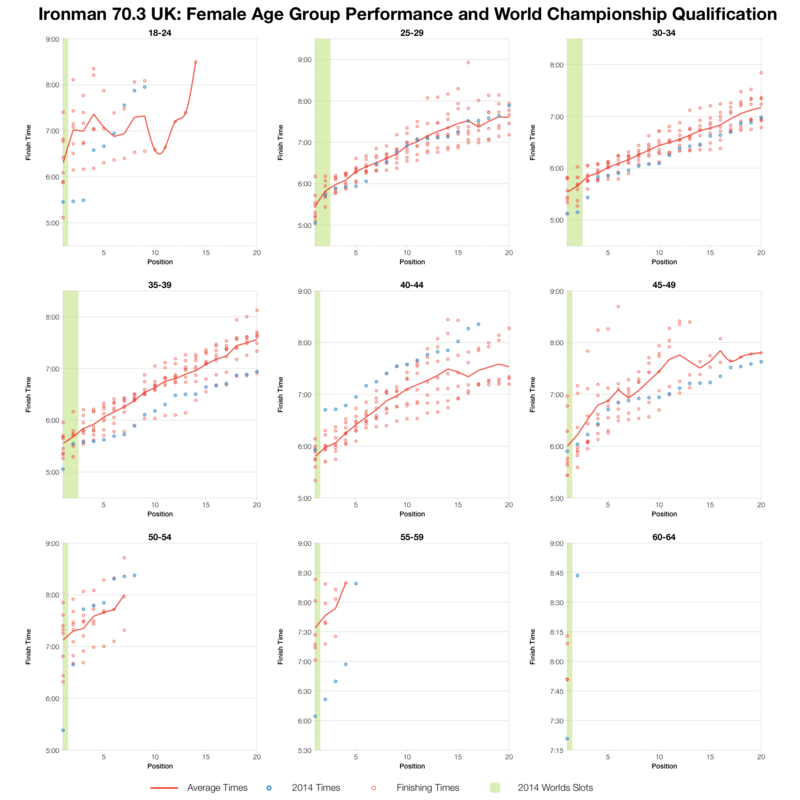 Not hugely, few results in the top twenties set PBs for the course. So bringing things to a quick close I’d describe 2014 in Wimbleball as a good, but unremarkable year. Performances were roughly on par for the event. You can retrieve a spreadsheet of the full results and splits from Ironman 70.3 UK 2014 at my Google Drive.